(Inside Science) -- If the filmmaker and explorer James Cameron had opened the hatch of his submarine at Challenger Deep -- the deepest point in all of Earth’s oceans -- the immense pressure outside would’ve crushed his skull with the weight of 500 elephants. 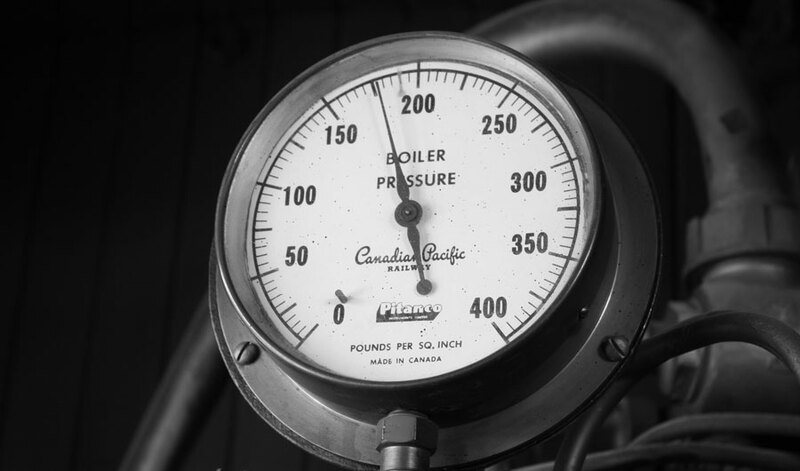 But even this immense pressure is tiny compared to the pressure scientists can create in their labs. The high-pressure systems they use are crucial for a wide range of research topics, from studying tiny pieces of materials that may change the way we use electricity, to understanding the internal structure of alien planets. Superconductors -- materials that can conduct electricity without resistance -- have already become a cornerstone in modern-day devices such as MRI machines. However, today’s superconductors can only operate at cryogenic temperatures, making them too expensive and impractical for large-scale applications, such as lossless power grids or maglev trains. A material that can maintain its superconductivity up to room temperature has been the elusive “holy grail” in materials science for decades. A string of recent discoveries in hydrogen-containing materials, or hydrides, is giving scientists hope that the goal may finally be within reach. During a meeting of the American Physical Society in March this year, Russell Hemsley, a physicist from George Washington University in Washington, D.C., shared recent findings on a hydride material that can sustain superconductivity up to 260 kelvins, or 8 degrees Fahrenheit -- not quite room temperature, but well within the ability of your kitchen fridge, without the need for pricey cryogenic equipment. “The mere fact that there are these materials that can exhibit superconductivity at very high temperatures -- well beyond what was thought to be a limit of some sort -- has been part of the surprise,” said Hemley. He and his colleagues published their discovery in a paper in the journal Physical Review Letters this January. But don’t pop the champagne yet -- there is a catch. While it is true that the material -- lanthanum hydride -- can maintain its superconductivity up to 260 K, it also needs to be under more than 20 million pounds per square inch, or more than a million times Earth's atmospheric pressure. So, room temperature, perhaps. Room pressure, not so much. To achieve the immense pressure, the material was pinched by an anvil made with the hardest material known -- diamond. Modified illustration of a diamond anvil cell, where samples can be compressed to very high pressures between the flattened tips of two diamonds. Original graphic by Argonne National Laboratory and Greg Stewart/SLAC National Accelerator Laboratory. A diamond anvil consists of a bracket made of tungsten carbide -- a material twice as stiff as steel -- and two diamonds, each with a broad base on one end and a small but flat tip on the other. The bracket squeezes the two diamonds together, and the diamonds’ tips apply pressure to the sample that sits in the middle. The ultimate goal is to create enough pressure to turn the most abundant element in the universe, hydrogen, into a room temperature superconductor as predicted by a theory from more than half a century ago. The required pressure is so intense that researchers often end up shattering the precious diamond cells in their attempts. Hemley and other materials scientists discovered that by adding heavy elements like lanthanum into the mixture, they could lower the pressure requirement for creating superconducting hydrogen. But there is still nothing quite like pure, metallic hydrogen -- a material that is worth shattering diamonds for. “There are theoretical predictions dating back to 1968 by Neil Ashcroft that gave the general idea that [metallic hydrogen] should exhibit superconductivity at elevated temperatures,” said Hemley. You may be familiar with how carbon, depending on the way the atoms are arranged, can become different materials with different properties, like pencil lead and diamonds. Hydrogen is no different and can also take exotic forms different from the floaty gas we are familiar with. In theory, if hydrogen atoms are compressed with enough force -- upwards of tens of millions of psi -- they would turn into a hunk of superconducting metal (or a glob of liquid metal, we don’t know for sure). Metallic hydrogen has the potential to be the most powerful rocket fuel ever -- capable of producing four times more thrust than the hydrogen/oxygen mix used in rockets today. It would also provide 20 times more energy per unit weight, which may help future engineers to create more efficient rockets that can carry heavier payloads further into space. However, the pressure needed to create metallic hydrogen is right around the physical limit of diamond anvil cells, making it difficult to test the theory experimentally. This is why when a group from Harvard announced in 2016 that they had made metallic hydrogen, it was immediately met with some skepticism from the scientific community. Some scientists demanded follow-up experiments to confirm whether the metallic hydrogen, once formed, can retain its structure and properties if relieved from the applied pressure. “Think about carbon. You can pressurize and heat graphite to get a diamond, and the diamond would stay a diamond even after you’ve released it from the heat and pressure,” said Shanti Deemyad, a high-pressure scientist from the University of Utah in Salt Lake City. She said metallic hydrogen might behave similarly, keeping its superconductivity at room temperature and pressure. Unfortunately, the results from the 2016 paper remain controversial today, as the group later lost the tiny speck of material when the diamond shattered due to the enormous pressure -- an unfortunate but not uncommon occurrence in the world of high-pressure experiments. For now, metallic hydrogen remains the elusive white whale in high-pressure physics. This hardly seems fair to us earthlings, because there may be trillions and trillions of tons of it inside other planets in our solar system. Metallic hydrogen may exist naturally inside giant, gaseous planets such as Jupiter and Saturn, where pressure can reach hundreds of millions of psi. That pressure is too high for a diamond anvil cell to create, so scientists are using other strategies to imitate the conditions inside these gigantic planets. They add superpowerful lasers into the equation and (almost) blow up diamonds instead. “Basically, we use lasers to heat up a piece of diamond so fast that the diamond ablates,” said Gilbert Collins, a laser scientist from the University of Rochester in New York. That means the diamond is heated up so fast that electrons are stripped from its surface and form a rapidly expanding plasma, which creates a compression wave that pressurizes whatever is sitting in its way. The technique allows scientists to create and study systems at much higher pressure than what is achievable using diamond anvil cells. So, what’s the catch? For example, the experiments can measure how atoms vibrate, which can help scientists predict if a material is a solid, a liquid, or a gas, at certain temperatures and pressures. This data can help create better models for the internal structure of planets, from the metallic hydrogen cores of gas giants, to the churning iron cores of Earth-like planets. “We know about the Earth’s mantle and how it affects our planet, and how the liquid iron core produces the magnetic field that shields us from cosmic rays,” said Collins. These high-pressure studies can reveal if “super-earths" -- other rocky planets similar to Earth but larger and therefore with higher internal pressures -- may behave in ways that are totally alien to us. “The science actually gets very complex when you increase the pressure a little bit,” said Collins.